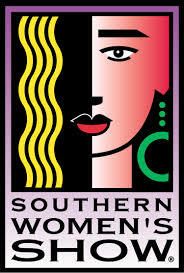 about the Southern Women's Show. This is the 20th year for this event. It will take place at the Orange County Convention Center from October 14th to the 17th. It will be filled with everything a girl could want! From health tips to beauty tips, this is the show for us girls. There will also be yummy gourmet snacks and runway fashion shows. Check out the full schedule of the shows and see what kind of helpful tidbits you can be bring home. FAS Windows & Doors will be there as another accessory to the show. How does windows and doors fit in here? Windows and doors can accent the beauty of your home. Not only does it add attractiveness but it is also can be energy efficient. Just ask our event team what they can offer you. It's $10 at the door but here's a dollar off. Come on out! It will be fun.